Nursing home neglect and abuse is a tragic but all too familiar occurrence. Elderly or infirm patients are neglected leading to severe injuries and curtailing the golden years of their lives. Don’t allow your loved ones to suffer because a nursing home has made a business decision to spend less money than necessary to provide good care to its residents. 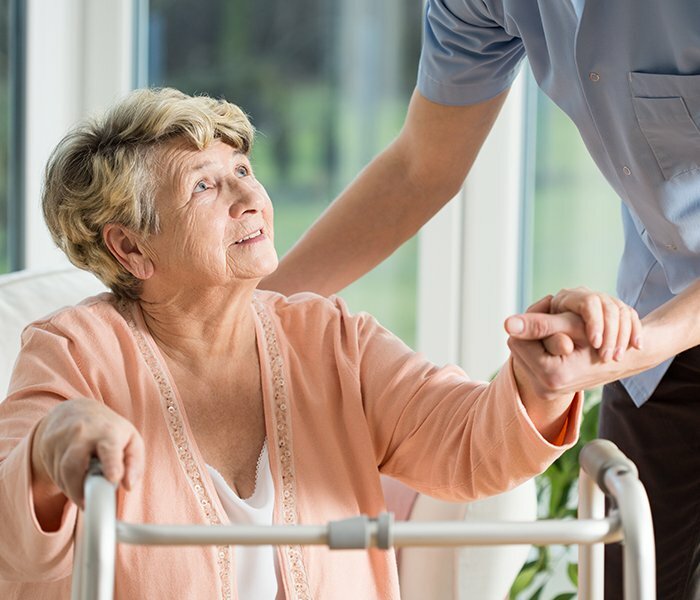 If a loved one has been impacted negatively by a nursing home, consult with one of our New York City nursing home abuse lawyers to discuss your legal options. Our experienced injury attorneys can help walk you through the claims process and ensure that your concerns are taken care of throughout the process. Bed Sores or Decubitis Ulcers – occur from a lack of movement; failure to have a proper mattress; failure to turn or properly position a patient. New York Public Health Law 2801(d) allows for a statutory private right of action against a residential health care facility that has deprived a patient of the rights and or benefit established for that patient’s well being. These include the right to appropriate medical and nursing care, including the failure to provide sufficiently- and properly-trained personnel to assist a patient in ambulating, and the failure to provide sufficient and adequate personnel to attend to a patient’s needs while a resident of a nursing care home. If any of these are violated, a New York City nursing home abuse lawyer should be consulted. The most obvious signs of elder abuse often include facial and bodily bruises, broken or fractured bones, bedsores, and malnutrition. However, the National Council on Aging (NCOA) provides a far more comprehensive definition of “elder abuse” on its website. In general, all grossly disrespectful, negligent and thoughtless treatment of the elderly is abusive. The NCOA also notes that all forms of physical, emotional, and sexual abuse of older Americans is inexcusable and forbidden. In addition to those who work for or run nursing homes and eldercare centers – the most likely perpetrators of elder abuse are often people’s own relatives or privately hired caregivers. Estimates indicate that as many as one in ten (1 in 10) Americans age 60 or older have endured some form of elder abuse. Both apathy and neglect frequently prove as physically damaging as many other forms of abuse. Lazy caregivers too often allow terrible bedsores to afflict the elderly – even though periodic visits into patients rooms each day can prevent these painful sores from ever developing. Unexplained bruising – If older people are being moved carefully from their beds to wheelchairs, bruising should rarely ever be present. Broken bones, sprains – Although older Americans do suffer more falls than younger people, that’s never an excuse to neglect them or fail to provide adequate walkers, canes, and other physical assistance to prevent injuries. Burn injuries – The elderly often require help when trying to serve themselves hot food or when running their bath water. If older people are receiving proper daily assistance, they should never incur any burns. Unclean bed linens and clothing – Regardless of whether patients are incontinent or cannot go to the bathroom on their own, they still deserve to be dressed in clean clothes and underwear each day. Those who must wear adult “pull-up” underwear must be checked regularly to be sure they haven’t accidentally soiled themselves. It’s always abusive to force the elderly to sit in their own waste products because others are too lazy to help them stay dry and clean. Serious depression and withdrawal from all routine events – It isn’t healthy for older people to withdraw from all pleasurable activities. Elderly patients should be periodically screened for depression and other mental health issues, including dementia and Alzheimer’s disease. Occasional private interviews should be conducted with each older patient to be sure that no one is subjecting the individual to any form of physical or emotional abuse. Verbal threats of punishment, cursing and other forms of emotional abuse should never be tolerated. Failing to provide proper medical care as needed – Too many questionable family members will do anything to hold on to most or all an older person’s money for personal, selfish gain. If you’re visiting someone who appears seriously neglected, contact the nursing home ombudsman and the New York State Office for the Aging to be sure a complaint is filed and follow-up services are provided to stop the abuse. Developing malnutrition and becoming dehydrated -It’s rarely normal for older people to lose a lot of weight in a short time period. Always ask older relatives or friends if they’ve developed new food preferences. A balanced diet consisting of at least three tasty meals a day is crucial – along with access to plenty of water. Improper use of bed rails or other forms of bodily restraint – These should always be used sparingly and only to keep the older person safe. Unexplained loss of mobility – without proper rehabilitative care being provided. Far too often, hired home health aides may refuse to help the assigned patient move safely about the living quarters. In addition to the abusive practices named above, new problems are developing with nursing homes prescribing potent drugs to energetic patients when they don’t really need them. As dementia and other types of unclear thinking develop, care and compassion should be the only routine responses. In many cases, simple dietary changes and a complete physical may reveal the need to treat a recurring urinary tract infection that’s causing the confused behavior. A geriatric medical care specialist should always be consulted before antipsychotics are given to any senior citizen who appears agitated or confused. An article published in the October 2016 AARP bulletin entitled, “Overuse of Meds in Nursing Homes” addresses this crucial topic. It notes that as many as one in five nursing home residents in some states are being prescribed antipsychotic drugs just to make managing them easier. This is elder abuse and must never be tolerated. Contact the New York State Office for the Aging if you ever suspect this type of abuse is being practiced. Remember — the best thing you can do for any older friend or relative is to visit them often so you can be sure they’re receiving proper daily care. If you’re suffering from any type of elder abuse, or know someone who is that you’d like to help, be sure to contact our New York City nursing home abuse attorneys for advice. In certain types of elder abuse cases, we can try and intervene and stop the abuse. If nursing home or hired caregiver negligence is involved, we may also be able to file a lawsuit on your behalf and seek the maximum compensation available for your injuries.